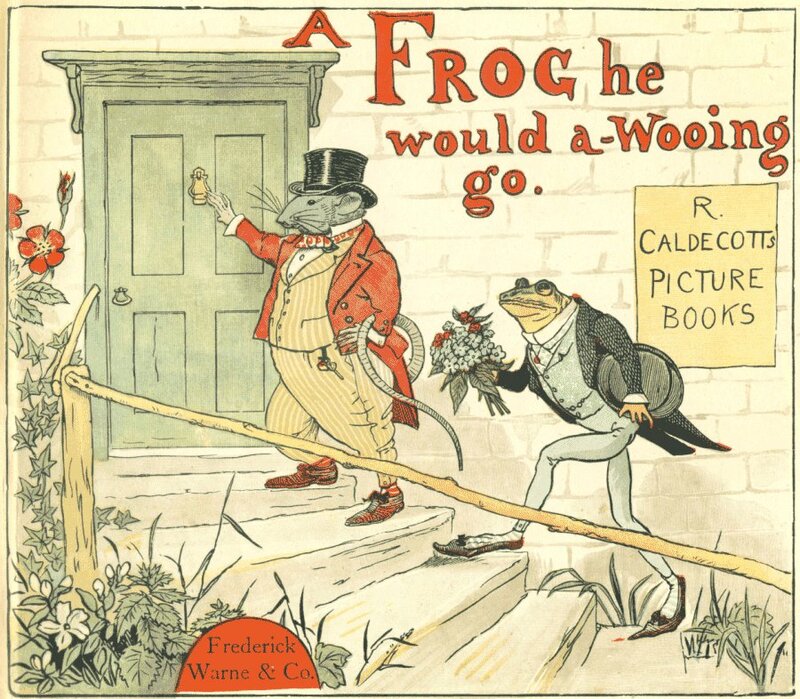 A Frog He Would A-Wooing Go by Randolph Caldecott. And on his way he met with a Rat. 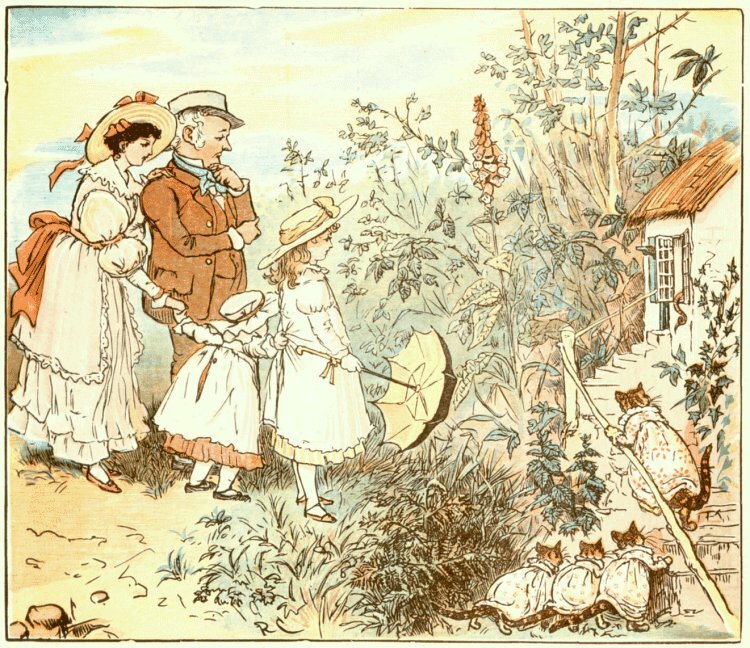 "Pray, MR. RAT, will you go with me,"
"Pretty MISS MOUSEY for to see?" And gave a loud knock, and gave a loud call. "Pray, Miss MOUSEY, are you within?" 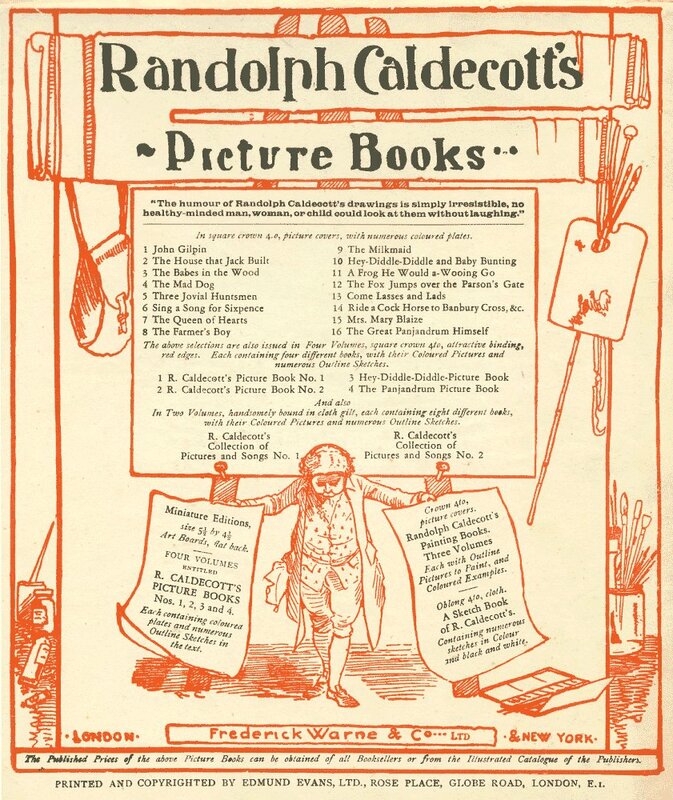 "Oh, yes, kind Sirs, I'm sitting to spin." 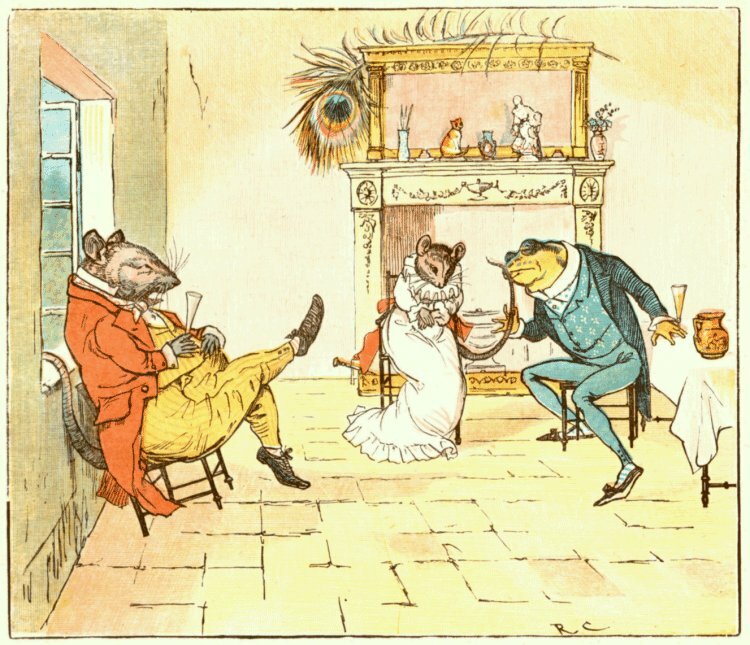 "Pray, Miss MOUSE, will you give us some beer?" 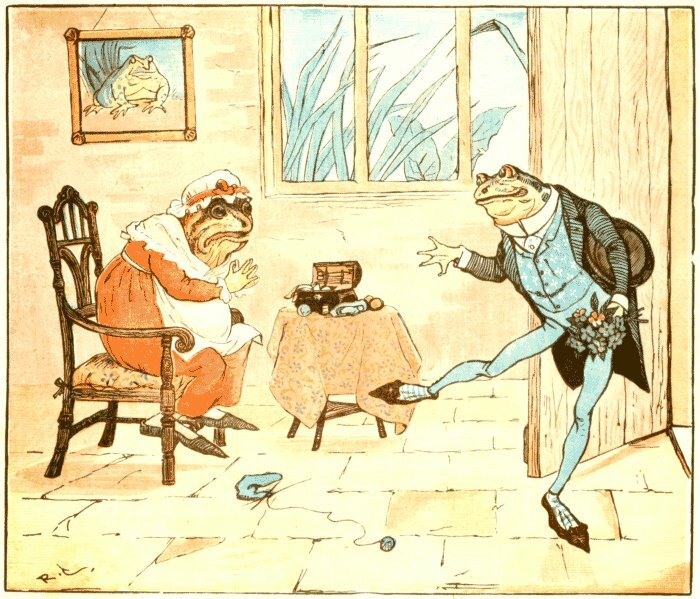 "For Froggy and I are fond of good cheer." 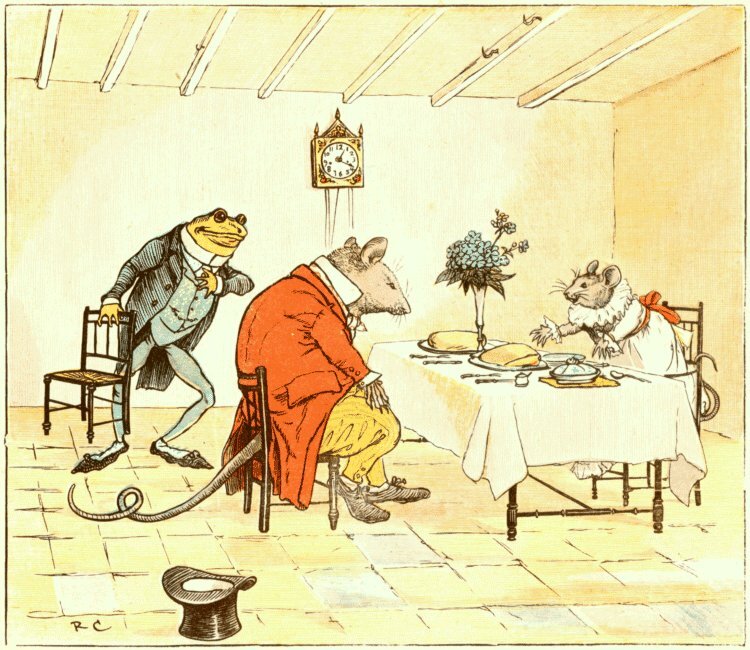 "Pray, Mr. FROG, will you give us a song? "But let it be something that's not very long." "A cold has made me as hoarse as a Hog." 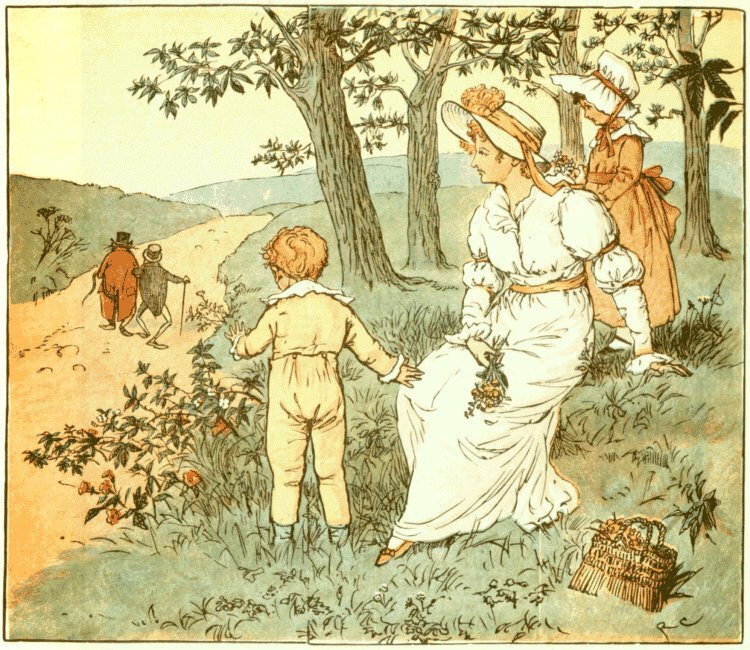 "Since you have caught cold," Miss MOUSEY said. "I'll sing you a song that I have just made." He took up his hat, and he wished them good night. 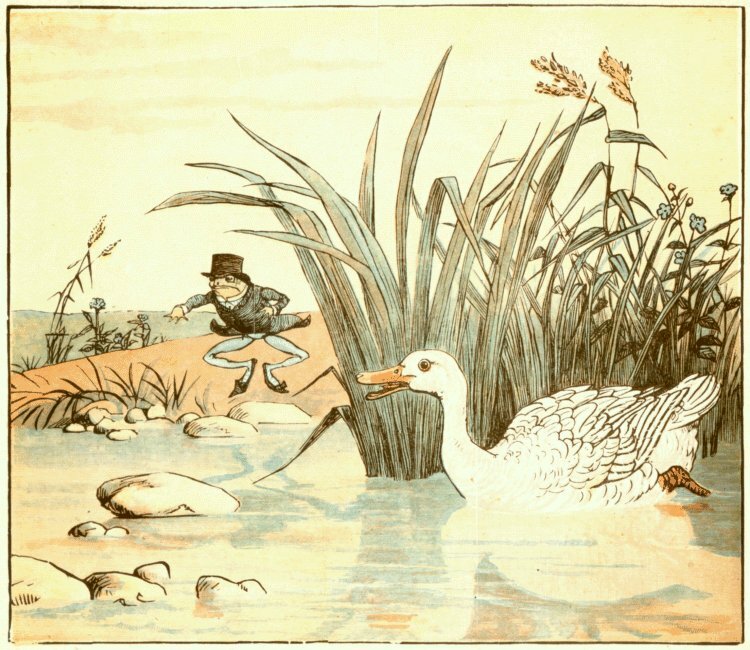 A lily-white Duck came and gobbled him up. The Rat, the Mouse, and the little Frog-gee!